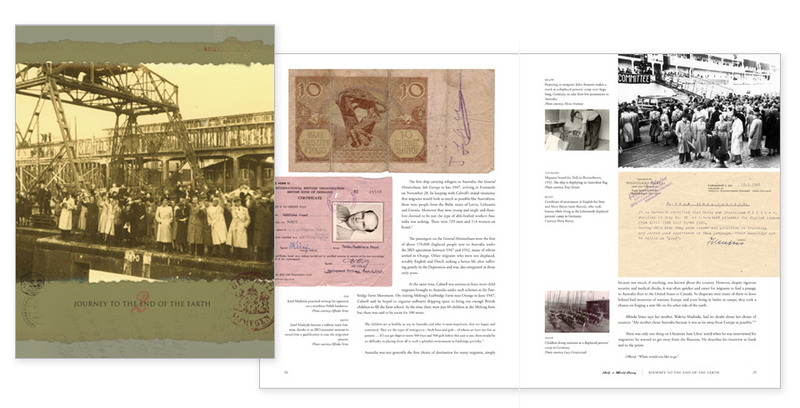 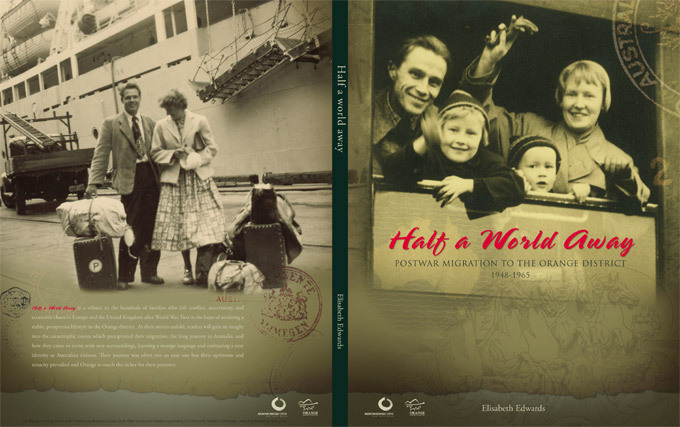 Half A World Away – Postwar Migration to the Orange District, 1948-1965 by Elisabeth Edwards, is a publication documenting the history of migrants who relocated to Orange post World War II. 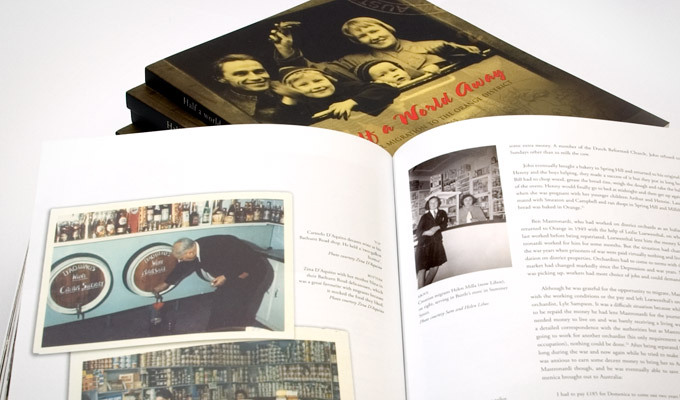 Sauce Design developed a rich, layered, graphical style to complement the subject matter which included images, photos and documents supplied from families involved with the project. 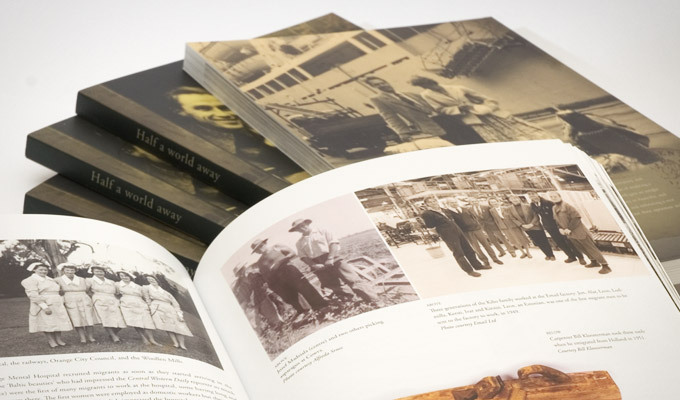 At project completion Sauce Design produced: a publication of 164 printed pages plus cover, an exhibition with graphical elements from the publication reproduced on interpretive panels and a custom designed website as an online exhibition for the launch and promotion.